The Cognac is coming from “La Grande Champagne”, the 1st growth and best of the Cognac area. The L’Aigle Cognac is an XO, older than Delamain‘s famous Pale & Dry. The blend is a classic Delamain style – one that combines elegance and complexity with a hint of boldness. 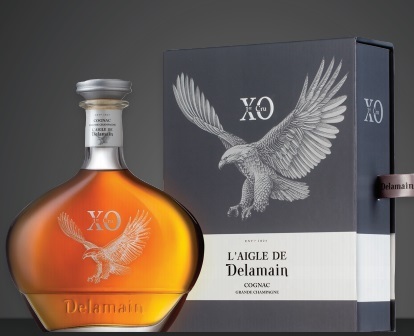 The original “Eagle Cognac” was created a century ago by Jacques and Robert Delamain. Renowned artist Leonetto Cappiello was commissioned to design the label and a poster that has since become a classic.